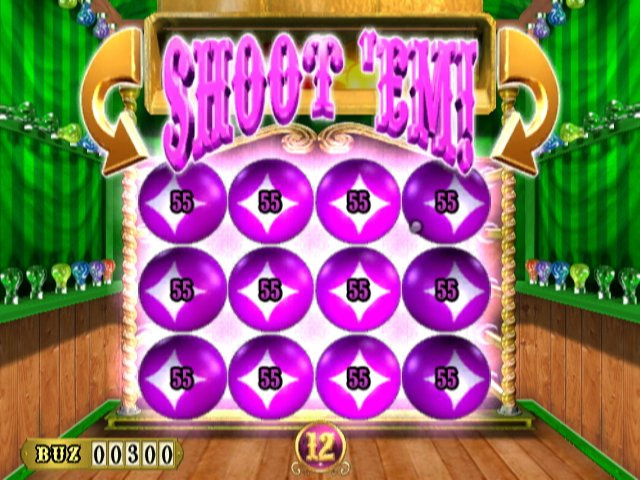 There have been quite a few games over the years that have made use of various carnival-style shooting galleries. Some have leaned towards an arcade feel while others have gone for a more realistic experience using a light gun. 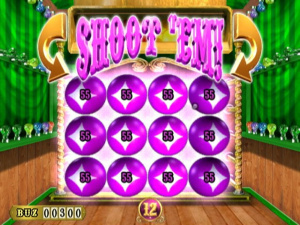 Intelligent Technologies, makers of Target Toss Pro: Bags, has now released its own take on the carnival shooting gallery, and while the game serves up a variety of different shooting gallery themes it also tends to leave you wanting more when it's all said and done. If you've ever been to a shooting gallery or played a light gun game on Wii, you should have a pretty good idea of what to expect from Carnival King. You basically use your Wii Remote as a pointer that will place an aiming dot on the screen. If you have a Wii Zapper or other compatible light gun accessory, you can pop your Wii Remote in and hold it like you would an actual light gun. It's alright if you don't have the Zapper as you can play the game with just the Wii Remote, but you won't get the same carnival fun as you would wielding a plastic blaster. There are three different parks to choose from, each featuring four different shooting gallery games to take on. You can play them in any order, but your ultimate goal is to accumulate a set number of points in order to unlock a fifth bonus gallery. Each of the games is different and generally varies in theme: you'll shoot everything from ducks in a pond to pumpkins, witches and shadows in a haunted house. 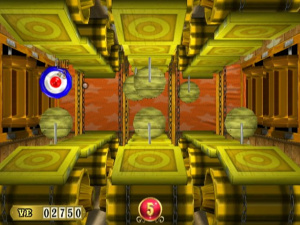 Most of the time this requires you to shoot a target on an object: while you can normally take out the target without shooting the actual bullseye, hitting the bullseye will earn you more points and could even make that particular object turn into an even more valuable bullseye target. The more you play each of the challenges, the better you'll get a feel for what each one expects of you and can aim accordingly. Each game allows you two rounds, each with a 20-second limit to rack up as many points as possible. You can even shoot a clock that will occasionally pop up to get an extra three seconds. 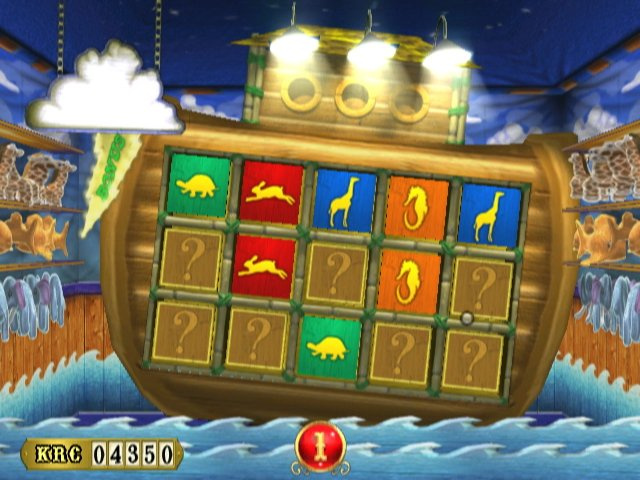 Your points are tallied at the end of both rounds and you'll have the option to choose the next game to play; once you've completed all four games in a park, along with the bonus round if you're able to unlock it, your points are then totalled, ranked and, if you want, submitted to an online leaderboard. You'll even be able to enter your own initials in order to differentiate your scores on the boards. It's a small touch, but a nice one nonetheless. The hit detection accuracy in the game is actually extremely good. You'll have to be very close to the bullseye in order to score a direct hit and there's not a lot of room for error. Having the targeting dot on the screen is helpful in keeping an eye on where you're currently aiming and you can even calibrate the aiming if you feel it's off. About the only complaint that could be lodged against the actual gameplay of the title is that the 20-second rounds tend to fly by so quickly that before you know it you've blown through all three parks and have nothing new to see. You can always go back and play the game at a higher difficulty, but it's still the same games you saw the first time through. It's a small complaint, but something to keep in mind if you're someone looking for a little more length in your games. Carnival King is visually solid. All of the backdrops are very detailed and vibrant, and even the many moving and animated items are all well done. It's also nice that the developers chose to give each individual game its own unique look and feel. You'll certainly never see the same thing twice throughout the game and the surroundings seem to get better and better the further you progress. You can tell that many parts or the game are digitized, but it works really well within the framework of this type of game. Anyone that's ever played a carnival-themed game will already know what's in store for them when it comes to the game's audio presentation. Carnival music is intact and even the audio effects sound like they were taken straight out of a carnival shooting gallery. The music during each game is subtle but it sounds so similar that you'll begin to tire of the same type of music once you've put some serious time into the game. Similarly, the announcer begins to grate on you after a while. Luckily, you can always turn the volume down if it starts to bother you as the Wii Remote still makes the shooting sounds through its internal speaker. Overall audio performance isn't poor, it just could have used a bit more variety. 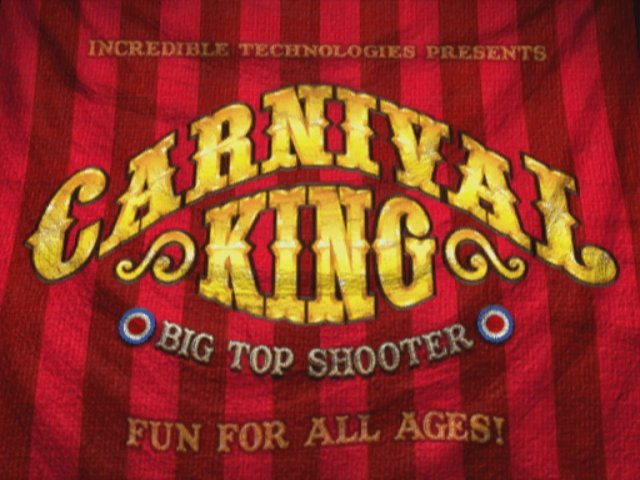 There's certainly no question that the carnival shooting action in Carnival King is very well done. In fact, aside from the fact that that experience is over a little too quickly, it's difficult to find much to complain about. 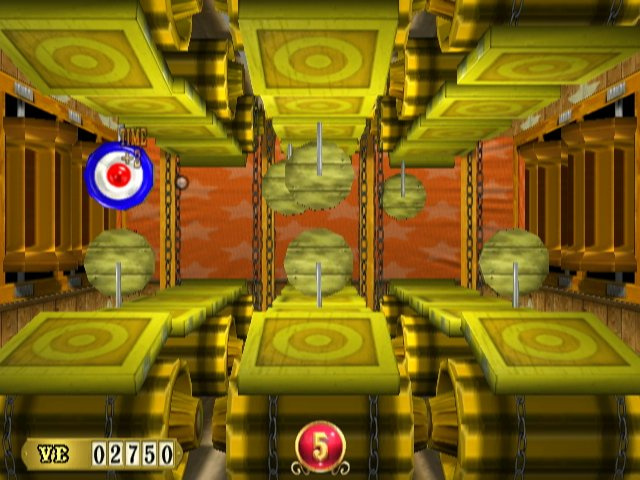 Solid play control, a wide variety of shooting gallery themes, and a competitive two-player game mode make this WiiWare title a lot of fun, especially considering the very reasonable 700 Wii Point price tag. If you love a good old-fashioned carnival shooting gallery or are just looking for a new reason to dust off that Wii Zapper, Carnival King is one WiiWare title you should seriously consider adding to your WiiWare collection. Looks slick and polished. Very Nice. Cool. I see there's no release date attached for Europe, are there plans to bring it over or should those of us with import Wiis just throw down for this Corbie? Oh, well that's a surprise. Thought it would be bad. Might get it when it reaches Europe. Thanks Corbie. I was interested in this and was waiting for a review before deciding. Actually, the better you are, the better the game gets with this game. It's actually surprising the amount of game mechanics that are used for game play balance in this point and shoot. Just when you think you've mastered it there's just a bit more to master. I've always been a fan of the wackier shooting games such as Point Blank so am happy this has turned out to be a good game, I will consider getting it when/if it comes to Europe. OK, maybe this is entertaining but I could never justify it at 700. Most stuff on here should be 500, it's a much more appealing price point. Shooting different shapes with point values on them? Duck hunt much? Might just get this over Shootano. Glad it turned out alright; I seem to remember dismissing it as just another mini-game when it was first announced. Actually I'm still gonna pass. I was going to buy this tonight, but I was too busy playing Pop, Uno and LIT. Tomorrow it is! Sweet, im picking it up this week. I like shooting things, so I'll have to put this one on my wishlist. In the overview it says Players "4". I believe this is incorrect as it is no more then 2 players. As mentioned, the 20 secs is a little to short for each round (2 rounds per player per mini game). My 6 year old son really likes the game and as he is not old enough to shoot zombies, this works well for him. The game does adjust to your skill so when I play with my son I get more and faster targets. I say if you like shooting games and want to include younger kids then this is a good pickup. I Loved Wild West Guns, This one looks good to I think I will get it soon. Downloaded it last night. Lot of Fun. My 3 year old even loves this (I would have never guessed it). The original Carnival King was a arcade non-violent suitable for all ages made by It (Incredible Technologies) and launched on 2002. This WiiWare version is a port of the original arcade. It´s a fun game with a total of 12 mini-games (+bonus stages) that works very well with the Wii Remote and has a interesting online leaderboard.